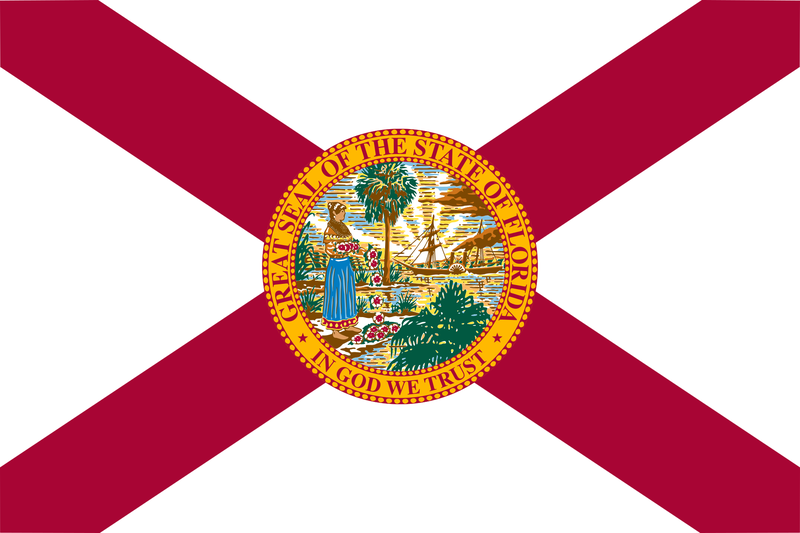 Flag of Florida. Photo via Wikipedia. A House panel Wednesday began to advance a controversial ban on so-called sanctuary cities that would lead to tough penalties if local governments do not fully cooperate with federal immigration authorities, including removal of local officials from their posts. The measure was approved by the House Civil Justice Subcommittee on a 9-3 vote along party lines, giving momentum to a proposal that critics say would infringe on constitutional rights and disproportionately target non-violent undocumented immigrants arrested for misdemeanor crimes. Republicans on the panel argued the bill is necessary to ensure a crime like the 2015 killing of Kathryn Steinle in San Francisco does not happen in Florida. The undocumented immigrant who shot Steinle had been deported several times and had recently been released from a county jail. Despite the House passing a similar bill banning sanctuary cities for the past three years, Wednesday was the first time the chamber has heard the proposal this year. Meanwhile, a watered-down version has sped through committees in the Senate this year, after Senate proposals died early in committees in previous years. The Senate proposal, sponsored by Sen. Joe Gruters, does not include most of the sanctions for local governments. But Attorney General Ashley Moody would have the authority to file civil actions against local governments and law enforcement agencies that have policies impeding communication or information-sharing with U.S. Immigration and Customs Enforcement. The House bill, sponsored by Rep. Cord Byrd, R-Neptune Beach, would go further. It would allow Moody or state attorneys to seek injunctions against agencies that violate the state law, impose penalties of at least $1,000 for each day a “sanctuary policy” is in place and allow people to sue local governments or law enforcement agencies if they have freed undocumented immigrants who injured the people or killed loved ones. Also, it would allow for the removal from office local policymakers who approve sanctuary policies. Currently, there are no so-called sanctuary cities in Florida, though Gruters and Byrd dispute that. One question involved whether the state would face lawsuits as a result of forcing local governments to rely on federal immigration authorities, who can make mistakes. Byrd said there should be no reason for local governments to be sued if they follow the structure of his bill.